Numerous sources reported recently on a lawsuit filed by Gokhan Mutlu, a gentleman who alleges that Jet Blue employees deprived him of his original seat during a cross-country flight and forced him to use the lavatory toilet seat instead. Pro: more privacy, personal sink, no waiting to use the lavatory. Con: seat doesn’t recline, generally not equipped with seat belts. 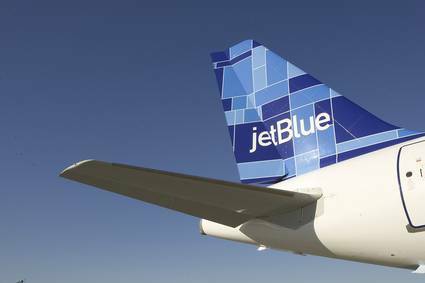 The plaintiff alleges that he was flying JetBlue on a "buddy pass," a voucher that employees can get for their buddies. These allow you to fly on standby and apparently for free, but it seems they also put you at the very bottom of the airline-passenger totem pole. Mutlu, who was trying to get to New York, says he was first told that a off-duty flight attendant had taken the last seat on the plane, but then that she would sit in the employee "jump seat," leaving a regular seat open for him. But, he alleges, about 90 minutes into the five-hour flight, the flight attendant decided the jump seat was uncomfortable, and the pilot told Mutlu he would have to move. He could not take the jump seat, however, because that was reserved for employees. And since, unfortunately, you can’t sit on the captain’s lap anymore, that left only one seat on the plane, one that is even less comfortable than a jump seat, at least for long periods of time. Mutlu alleges that when he "expressed reluctance" to sit in the bathroom, the pilot told him that "he was the pilot, that this was his plane, under his command [and] that [Mutlu] should be grateful for being on board." (The pilot was not named in the complaint, which reinforces my main question about the lawsuit, namely that even on JetBlue pilots typically do not get directly involved with seat assignments.) Plaintiff then reluctantly entered the chamber and took his precarious seat. Now, it does sound like this guy got jerked around, and being required to ride in the lavatory would not be pleasant. If this actually happened, I would support his claim to get some kind of compensation. But public sympathy for him has been a bit muted, possibly because he is demanding over TWO MILLION DOLLARS for his three-hour ordeal. As it happens, just the other day I was figuring out, in a meeting about a case in which the demand is very large (I have to do something during meetings and it turns out doodling is too obvious) how much money one might earn during one’s entire lifetime. Assuming that you made $50,000 a year on average during a working life that spanned forty years (the numbers I was actually using), you would earn, coincidentally, TWO MILLION DOLLARS, pre-tax. That is probably somewhere in the ballpark for the actual numbers — the IRS has apparently just stated that the U.S. median gross income for 2007 was $61,500, more than the number I used; but one study I found estimated the median lifetime income of a sample of retirees during the time they worked from ages 35-60, adjusted for 2005 dollars, to be just $517,158. My point being that this guy (and/or his lawyer) is demanding more than the entire lifetime economic output of most Americans as compensation for being required to sit on the toilet for about three hours. I had a roommate that used to do that for free.